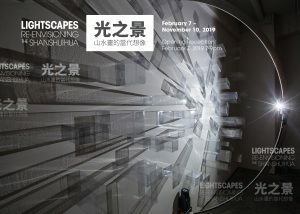 Create prints with sunlight in a hands-on activity inspired by the cyanotypes of Wu Chi-Tsung, a featured artist in “Lightscapes: Reenvisioning the Shanshuihua 光之景: 山水畫的當代想像.” You’ll be able to make your own cyanotype prints and visit the immersive exhibition. Admission to the museum and this public program is FREE. All materials will be provided. Join us for a Summer evening at the museum after-hours social. Enjoy art making, music, and food in the courtyard. Admission to the museum and this adult program is FREE. RSVP by emailing RSVP@camla.org. Explore Lightscapes or the permanent exhibitions through engaging tours with museum docents. For more information about school or group tours, visit: camla. org/tours. K-12 students of all levels and abilities can create their own ink-based paintings inspired by the genre and learn about the Four Treasures of the Study 文房四宝. For more information about pairing the art workshop with a school tour, visit: camla.org/student-workshops.